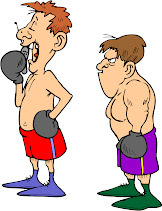 Recently, the training has been just roadwork and shadowboxing. (Yes, it's cold out there!) I know I need to get more sport-specific training in--and I will--but for now, here is the update. Consistency is the key and looks like you have it.